But a partnership between the Town of Clifton Forge and Total Action Against Poverty (TAP) took their MUMI planning in a different direction. Located a few blocks from Town Hall, Keswick Street is an important gateway into downtown Clifton Forge. As a partner with the town, TAP purchased six 1920s homes on this street with the intent of rehabilitating them to comply with current building codes and incorporate modern energy efficiency standards. The MUMI planning grant funds from VHDA not only helped in the rehabilitation planning for these houses, but also provided for broader revitalization planning to tie Keswick—and adjacent Roxbury Street—into the retail shops available in this downtown community. The rehabilitated homes on Keswick Street are available for first-time homebuyers with incomes not exceeding 60% of area median income (AMI). VHDA is providing mortgage financing with a set-aside of funds through the Community Homeownership Revitalization Program (CHRP). 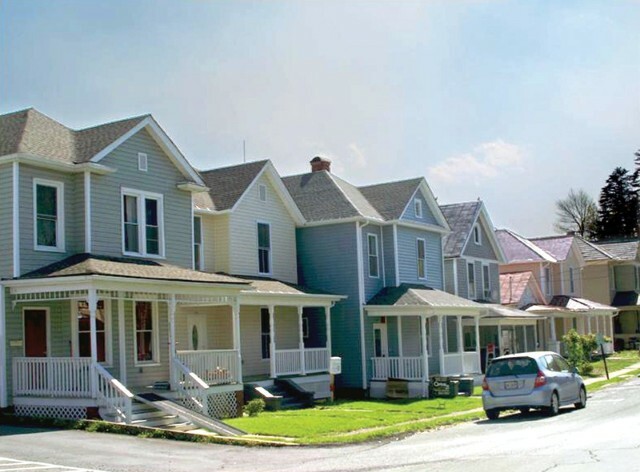 By rehabilitating these homes, TAP was able to reintroduce significant first-time homebuyer opportunities into Clifton Forge, and do so at a time the town was aggressively working to build up businesses in its downtown. So, what does your community’s mixed-use planning look like? Not sure? Maybe a VHDA grant could help you plan the work, and work the plan.